A: Take a sheet of computer paper and lie it sideways fold it horizontally. C: Take the top-left corner and fold it diagonally into a triangle. D: Continue to fold the little triangle in the top downwards until there is a little rectangle in the bottom. E: Fold the rectangle in to the little gap in the bottom. You now have a paper football. A: Using the shoe box cut a square shape on the front of the shoe box. The square shape should start at the top of the box to about the middle of the box. Leave about 1 inch on both side of the box. B: Cut the same square shape out of the back of the box leaving about 1 inch on both sides. C: Cut away the top portion of the box leaving about 1 inch on both sides. It should set on the table and look like goal post. Make two of these for each player. D: You can decorate your football goals with your team name and colors! #3: Determine the rules of the football game. Also decide how many points you want to play to! #1: Using a 3X5 index card trim the card to the shape of a circle. 3-Who was the first National Leaguer to hit 50 home runs in two consecutive seasons? 4-Who is the only player to win a batting title for an expansion team in its first year? What questions did you use in your trivia game? Leave us a comment and let us know! #1: On your poster board trace and cut out the shape of a pennant. See shape below. #3: Cut out two circles. These will be the baseballs for your pennant. 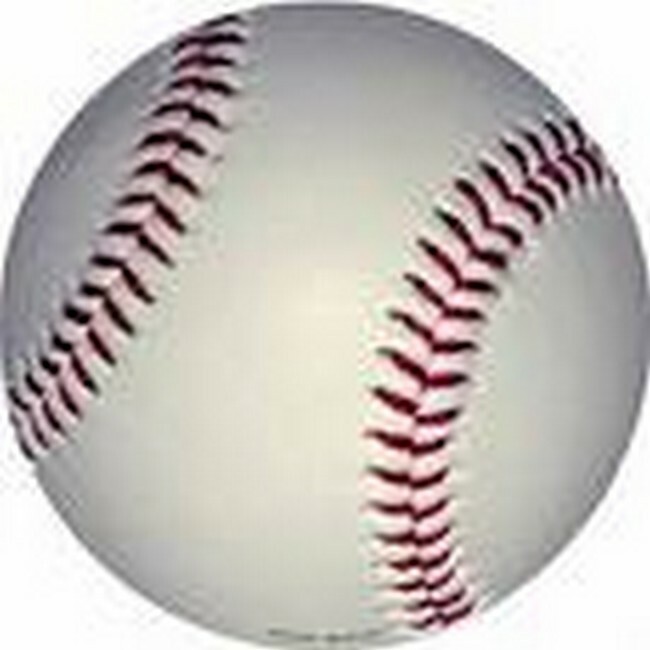 Draw the two red baseball lines. Glue them to your pennant. See Baseball Design Below. #4: Decorate your Pennant with your team name. Get Creative! Who is your favorite team? What colors did you use in making your pennant? Send us a picture or leave us a comment and let us know! #3: Place the fish into the bottle. You can roll them length wise to make them fit. One fish per bottle. #5: Cut your string to be about 3- 4 feet long. #7: You’re ready to fish! Use the rubber band to hook the top of your bottles and reel in your fish! #1: Cut the Shoe Box in Half. Each half will be a goal. #2: Attach the goal to the cardboard by making a hole in each end of the shoe box. And two holes in the cardboard where the goals will be sitting. Repeat this for both sides. #3: Place the twist tie through the holes of the shoe box and then through the holes in the cardboard and twist the ends together underneath the cardboard. Repeat this for both sides. #4: Use crayons or markers to decorate your cardboard like a soccer field. #7: You are now ready to start playing! You can use your hand like a soccer player and your middle and index fingers for kicking the ball.